The Blount Street redevelopment master plan examines the potential for renovation of existing historic homes, along with strategic residential and mixed-use infill. 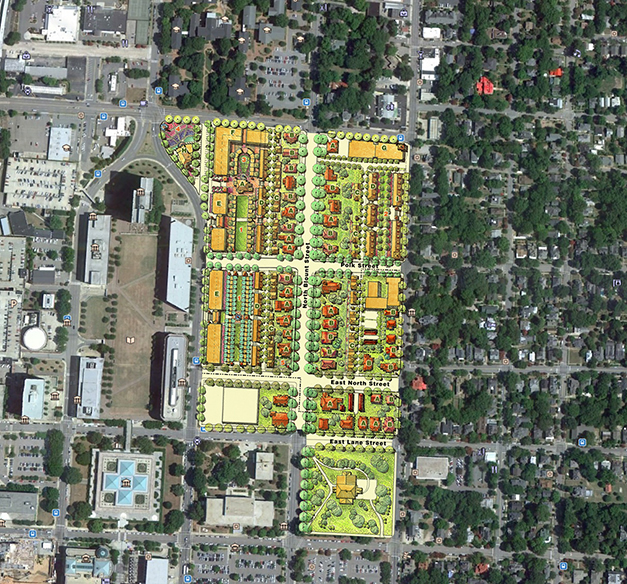 The redevelopment area is located in downtown Raleigh, North Carolina, between the Capital District and Historic Oakwood. 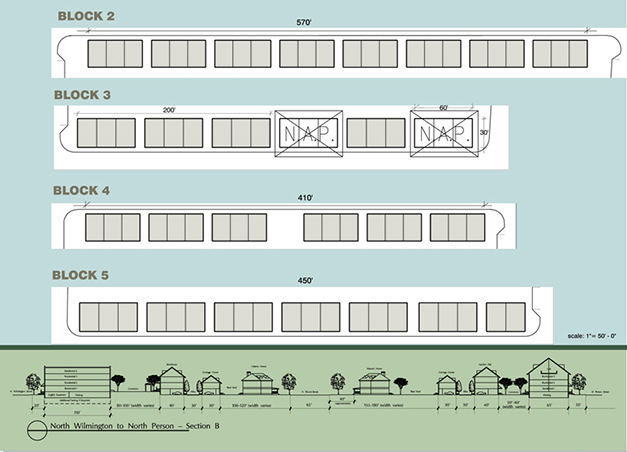 A range of housing typologies were developed to provide a mix of price points and housing to suit multiple demographics. Infill housing focuses on several types. Carriage homes, located along the alleyways, capitalize on the deep lots of the historic homes. Multi-family units, stacked townhomes and live/work homes are all self parked and feature internal courtyards and other community amenities. Higher densities are focused along the major streets on the exterior of the district. This approach combines historic preservation with redevelopment to bring value and breathe new life into this important district of downtown Raleigh. 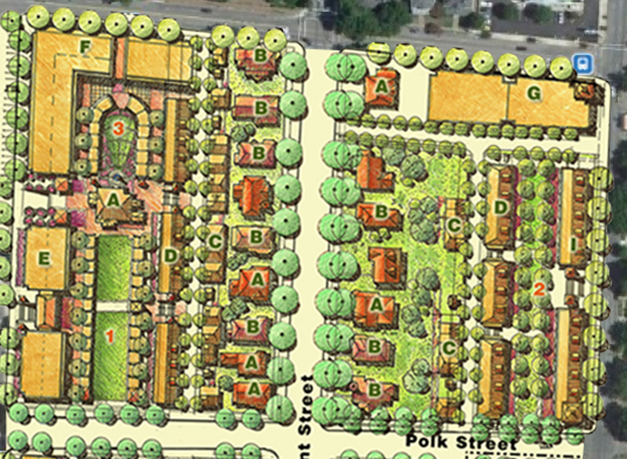 The Blount Street redevelopment master plan lies adjacent to the Capital District and Historic Oakwood. Building footprints and a site section show the spatial organization. Carriage homes are infilled along the narrow alleyways. 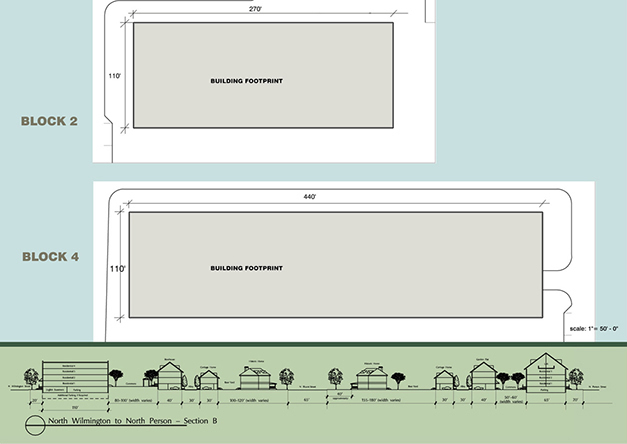 Master plan detail shows higher density uses at the perimeter, and historic homes with the new carriage homes to the rear.